Wish you all a very happy new year!! We would like to give you guys a big thank you for being with us and we hope 2019 will be a new beginning for Seeed as well as our Seeekers. This year hopefully will be filled with sparkling new ideas which will be turned into amazing new products. As you all know, Grove is an ecosystem which keeps growing at Seeed. 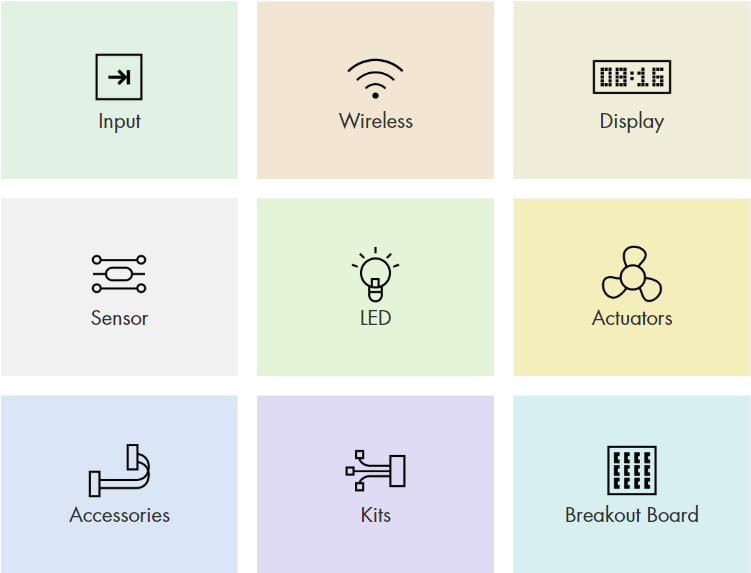 At the beginning of 2018, the Grove ecosystem already had around 150+ modules, including sensors, communication, displays, inputs & outputs, actuators, accessories and kits for different platforms and they kept growing big in 2018. Now let’s spend some time to look back at what we have done so far for Grove. 8 years ago, in 2010, Seeed launched “Grove” to the public and the Grove Starter Kit was released during that time. By the end of 2011, we successfully finished manufacturing more than 60 Grove modules. 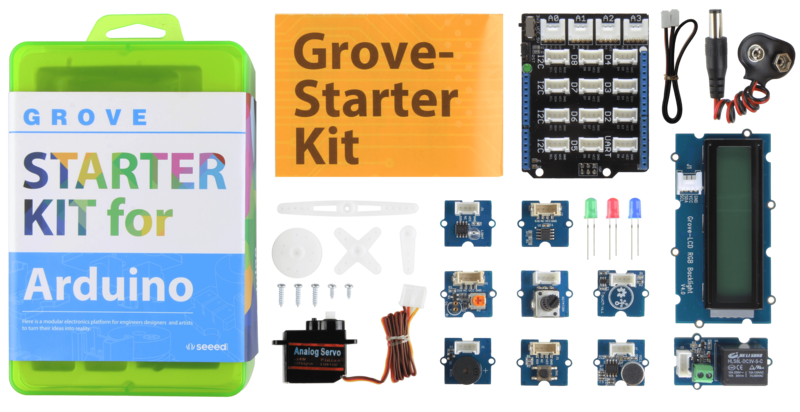 In 2014, the 100th Grove product was released which is the Grove Starter Kit for Arduino and this is the most popular Grove Kit to date. 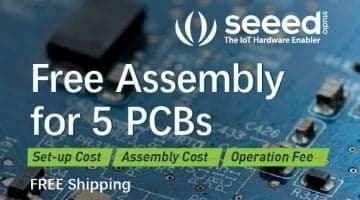 In 2015, we cooperated with many famous companies including MTK, ARM, TI, Particle, Intel, Intel, AWS, Microsoft and Acer to create many different kits. In 2017, the Grove – Mini PIR motion Sensor was released and interestingly, this is the 200th Grove sensor. This sensor is very suitable for motion detection applications. We started 2018 in a colorful way by releasing the Grove Variable Color LED v1.1. This module is very simple to use due to the three changeable resistors on board where you can quickly change the color of the LED. After that, we released 10 more products including modules and kits until April 2018. 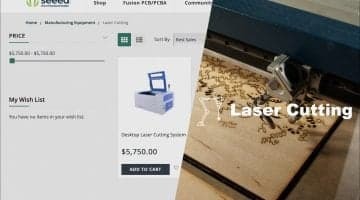 These are the products that got released. In April, we planned to do something very exciting for the Grove ecosystem. We decided to have a plan called “Grove 100+” where we aimed to manufacture more than 100 Grove modules to further expand the Grove ecosystem and finish by mid of 2019. Three proximity sensor modules got released in July after implementation of the plan. Grove – Time of Flight Distance Sensor(VL53L0X) is a high speed, high accuracy and long range distance sensor based on VL53L0X. On the other hand, the Grove – Digital Distance Interrupter 0.5 to 5cm(GP2Y0D805Z0F)(P) and the Grove – Digital Distance Interrupter 0.5 to 5cm(GP2Y0D805Z0F) are infrared proximity sensor modules based on GP2Y0D805Z0F. The Grove – Time of Flight Distance Sensor(VL53L0X) stands out from the other two because it can measure absolute distances up to 2m whereas the Digital Distance Interrupters can only output a 1(High) or a 0(LOW) when the object enters the measurement range, which is 0.5 – 5cm. For the version with the letter “P”, the lens and the grove interface are on different sides whereas for the version without the letter “P”, the lens and the grove interface are on the same side. At the beginning of September, we started a campaign called “100+ Grove Modules Wish Campaign” where our Seeekers were able to submit ideas, inspirations and designs for a new Grove module and then the top 10 voted submitted ideas were planned to turn into real Grove modules. Also, through this campaign, 10 winners were awarded an Arduino UNO, Base Shield, and 3 new Grove modules as well. The top 3 winners were Gabriel Alejandro, Naveen Kumar, and Al Edwards. This campaign helped us a lot to execute the Grove100+ plan in a very efficient way because we believe that our community is the key to our growth and success and we really appreciate everyone that contributed in this campaign. We also started doing giveaways in 2018 because we love you guys and your project ideas. 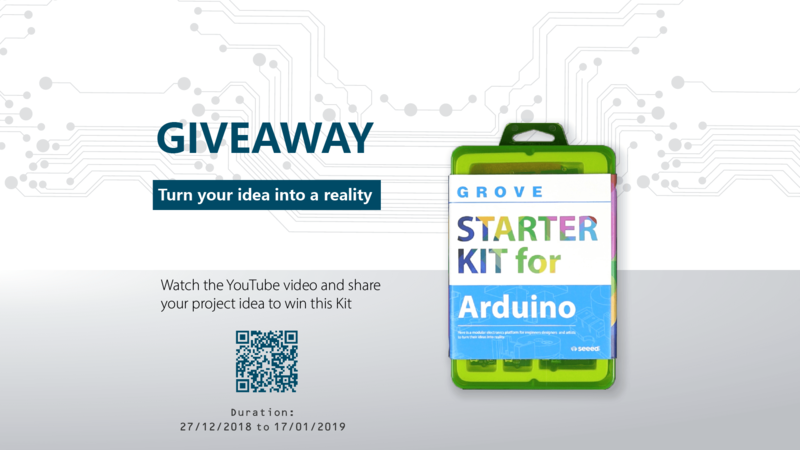 Currently, there is a giveaway going on for the Grove Starter Kit for Arduino and if you guys want to win this awesome Starter Kit at the start of this year, click here to learn more. Also, these giveaways will keep coming in 2019, so stay tuned with us to win more Grove modules and expand your Grove collection! 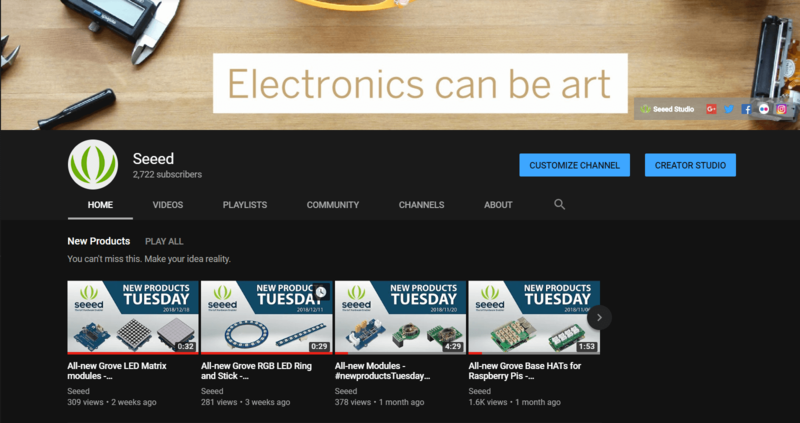 We started releasing products on every Tuesdays according to the “Grove 100+” plan and started making videos and upload on YouTube for every product that got released and named the event as #newproductsTuesday. Click here to check out the whole playlist of the event on YouTube. So guys, stay tuned on our YouTube channel by subscribing, since these videos will keep coming in the future during the time the Grove100+ plan is active and also we release many different videos of interesting projects as well. So far, we have released around 58 Grove modules after the plan was implemented and here is a quick look at them. At the start of August, we released 3 exciting Grove – LED button modules with colors Red, Yellow, and Blue. These are very fun to use buttons where you can change the LED lighting pattern just by simple coding! We were excited to release 6 Relay modules including 2 SPDT Relays with 2-Channel and 4-Channel and 4 Solid State Relays based on Omron relays with 1, 2, 4 and 8 Channels respectively. The Solid State Relays stand out from the SPDT Relays because they have no physical contacts and therefore there are many advantages such as faster switching speeds, no sparking, increased lifetime and silent operation. On the other hand, SPDT Relays work both for AC and DC whereas Solid State Relays don’t. We released very interesting modules to light up and shine your next projects. These include 3 colorful waterproof RGB LED strips with 30 LED/m, 60 LED/m and 144 LED/m all using WS2813. Even though we’ve had LED strips on our bazaar, these are the first Grove compatible LED strips and the Grove port makes them very easy to use. Also, we released Grove – RGB LED Stick (10-WS2813 Mini) and the Grove – RGB LED Ring (20-WS2813 Mini) which are based on WS2813 and they are very fun to use. In addition, we released a cool Grove – LED Matrix Driver, Grove – Red RGB LED Matrix w/ Driver and Grove – RGB LED Matrix w/ Driver where the two Matrix modules are based on 8×8 to light up your new ideas with color in 2019. We also released 3 exciting new switch modules including Grove – Mech Keycap, Grove – 6 – Position DIP Switch and Grove – 5 – Way Switch. The Mech Kepcap has a built-in RGB LED where you can change the pattern of the LED simply by code and also it is a mechanical switch; so that means you can use many of these to make your own mechanical keyboard! The Grove – 5 – Way Switch gives you a joystick-like interface in a smaller package. 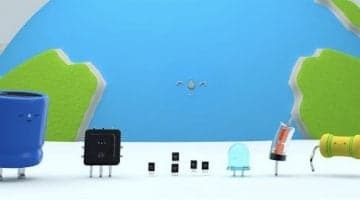 So this means you can build your own game controller! The Grove – 6 – Position DIP Switch is a great multi-channel control switch which uses I2C to transmit data. We released five new motion sensor modules as well and these modules differ from each other in terms of accuracy and functionality. Three of the sensors (Grove – 3-Axis Digital Accelerometer ±16g Ultra-low Power (BMA400), Grove – Step Counter (BMA456) and Grove – 6-Axis Accelerometer&Gyroscope (BMI088) ) are based on chips by Bosch Sensortec whereas Grove – IMU 9DOF (lcm20600+AK09918) is based on chips by InvenSense and AKM and Grove – Vibration Sensor (SW-420) is based on SW402. Both Grove – 3-Axis Digital Accelerometer ±16g Ultra-low Power (BMA400), and Grove – Step Counter (BMA456) feature 3 – axis accelerometers where they are useful in detecting different types of movements such as Walking, Running, Standing still and also step counting. The power consumption of BMA400 is extremely low compared to BMA456. On the other hand, the Grove – 6-Axis Accelerometer&Gyroscope (BMI088) features a 16-bit 3 – axis accelerometer and a 16-bit 3 – axis gyroscope and is suitable for drones, robotics and industrial applications with challenging performance requirements. The Grove – IMU 9DOF (lcm20600+AK09918) features a 3-axis accelerometer, 3-axis gyroscope, and a 3-axis electronic compass. This amazing sensor module is great to use in smartphones and wearables. Finally, the Grove – Vibration Sensor (SW-420) is a highly sensitive, non-directional module with onboard sensitivity adjustment where it can be used in vibration sensing applications. We released seven different environmental sensing modules with six being able to sense temperature and one being able to detect the air quality. Grove – Temperature, Humidity, Pressure and Gas Sensor (BME680), Grove – I2C High Accuracy Temperature Sensor (MCP9808) and Grove – I2C High Accuracy Temp&Humi Sensor (SHT35) are all able to measure normal environmental temperatures while communicating through I2C interface. Grove – Temperature, Humidity, Pressure and Gas Sensor (BME680) stands out from the other two because it not only measures temperature but can measure humidity, pressure, and gas as well, which is really cool. Grove – I2C High Accuracy Temperature Sensor (MCP9808) and Grove – I2C High Accuracy Temp&Humi Sensor (SHT35) both can measure temperatures at a much higher accuracy than the BME680, and SHT35 can also measure humidity. The most accurate sensor out of these sensors is the SHT35 with an accuracy of ±0.1 °C. On the other hand, Grove – 1-Wire Thermocouple Amplifier (MAX31850K) and Grove – I2C Thermocouple Amplifier (MCP9600) are able to measure very high temperatures while Grove – 1-Wire Thermocouple Amplifier (MAX31850K) communicates via Digital interface whereas Grove – I2C Thermocouple Amplifier (MCP9600) communicates via I2C interface. The major difference between these two modules is Grove – 1-Wire Thermocouple Amplifier (MAX31850K) can only support K-type thermocouples whereas Grove – I2C Thermocouple Amplifier (MCP9600) can support K, J, T, N, S, E, B, and R type thermocouples. 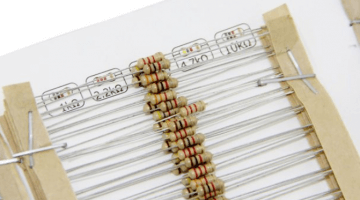 We also released a K-type thermocouple wire which is 1 meter long, to use with these amplifier modules. Another interesting module is the Grove – Infrared Temperature Sensor Array (AMG8833). 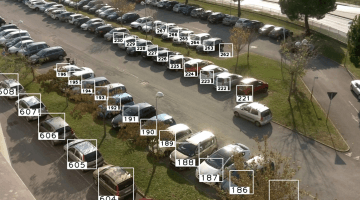 It can support temperature detection of a two-dimensional area: 8 × 8 (64 pixels) and has a maximum detection distance of seven meters. This is a perfect module to make your own thermal camera! The last module under this category is the Grove – Laser PM2.5 Sensor (HM3301). 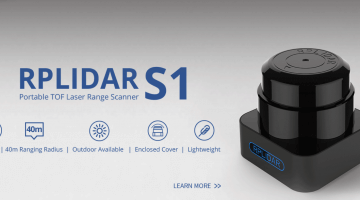 This all-new laser dust detection sensor is able to detect the dust in the air in real-time which uses laser light scattering technology and therefore the readings are accurate, stable, and consistent. We partnered with Microsoft to release the Azure Sphere MT3620 Development Kit to support rapid prototyping and enable developers to experience Azure Sphere technology. After that, we released a Grove Starter Kit for Azure Sphere including an MT3620 Grove Shield. 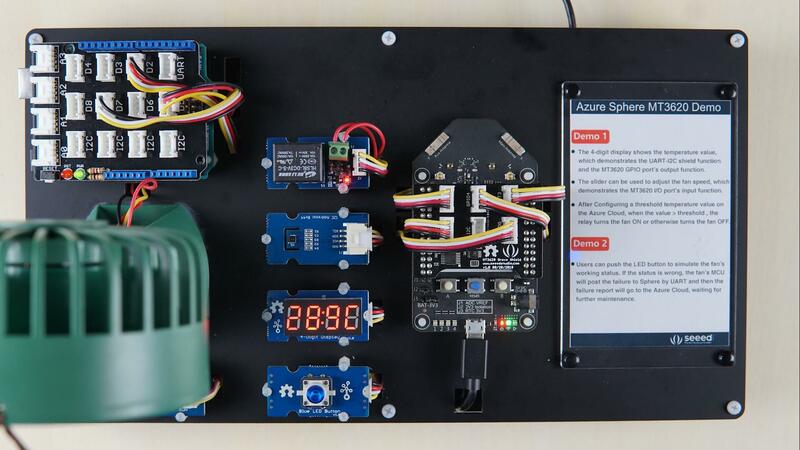 Also, we made a demo to show that the Azure Sphere MT3620 can be connected to various different devices while providing a very secure cloud connection. In this demonstration, we used four Grove modules and a device which has it’s own MCU (An Arduino connected with a fan). The Grove modules that we used here are the Grove – Temp&Humi Sensor (SHT31), 4-Digit Display, Slide Potentiometer and Relay. Also we used MT3620 Grove Shield to connect all the Grove modules to the MT3620. Later we released 3 new single-color 16×2 LCD modules with Black on Yellow, Black on RED and White on Blue. 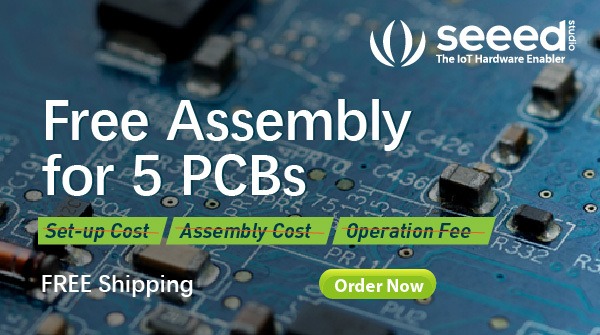 These modules are very cost effective when compared with the Grove – LCD RGB Backlight and we manufactured these modules based on our customer feedback. We released 3 awesome touch sensor modules with Grove – Round Force Sensor (FSR402) being a force sensor whereas Grove – 12 Key Capacitive I2C Touch Sensor V2 (MPR121) and Grove – Capacitive Touch Slide Sensor (CY8C4014LQI) being touch sensors based on capacitive touch. Grove – Round Force Sensor (FSR402) is an interesting module where the resistance changes with the applied pressure on the sensor. Greater the pressure, smaller the resistance and vice versa. On the other hand, Grove – 12 Key Capacitive I2C Touch Sensor V2 (MPR121) has 12 capacitive keys with 8 channels being alligator interfaces where you can simply plug alligator cables to it. Grove – Capacitive Touch Slide Sensor (CY8C4014LQI) is a very fun to use touch slider and has seven capacitive touch elements as well as seven LEDs which correspond to each element. We also provide a cool acrylic case to prevent from false trigger when using this sensor module. We started off November with two very exciting Hats which are the Grove Base Hat for Raspberry Pi and the Grove Base Hat for Raspberry Pi Zero. These HATs stand out because of the very low cost compared to GrovePi+. Both these HATs use an STM32F030 as ADC and they support more than 60 Grove modules. 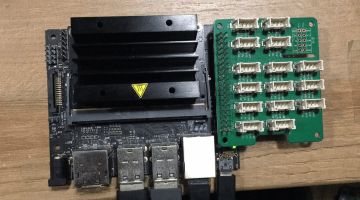 Grove Base Hat for Raspberry Pi has 15 Grove connectors with 6-Digital, 3-Analog, 3-I2C, 1-UART, and 1-PWM and provides an 8-Channel ADC. Whereas the Grove Base Hat for Raspberry Pi Zero has 8 Grove connectors with 2-Digital, 3-Analog, 1-I2C, 1-UART and 1-PWM and provides a 6-Channel ADC. 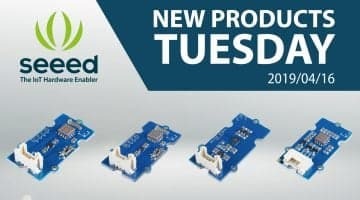 Also, we released 2 driver boards; one for servos, which is Grove – 16-Channel PWM Driver (PCA9685) and one for DC and stepper motors, which is Grove – I2C Motor Driver (TB6612FNG). Grove – 16-Channel PWM Driver (PCA9685) is based on NXP PCA9685, which is a 16-Channel, 12 bit I2C PWM driver. This board can drive up to 16 servos with the external power supply. Grove – I2C Motor Driver (TB6612FNG) can drive two DC motors up to 12V/1.2A or drive one stepper motor up to 12V/1.2A. Both these driver boards can easily work with Arduino via the Grove I2C interface. We also released Grove – I2C UV Sensor (VEML6070), which is an advanced ultraviolet light sensor that can directly output data via I2C interface. It can most effectively detect light within the wavelength range of 320-410nm and converts solar UV light intensity to digital data. Then we released Grove – Coulomb Counter 3.3V to 5V (LTC2941)which is an interesting module to attach to your projects to monitor the battery charge status of a connected battery. This module has a charge accuracy of 1% and it’s operating range is suitable for single-cell Li-Ion batteries. The Grove – Optical Rotary Encoder (TCUT1600X01) is another module we released to detect the motion, speed, and rotation. This includes an IR emitter and 2 phototransistor detectors located face-to-face with a distance of 3mm. At the end of December, we released three all-new proximity sensor modules. The Grove – 2-Channel Inductive Sensor (LDC1612) is based on LDC1612 by Texas Instruments and can detect the proximity of conductors nearby (especially metals). This sensor enables the performance and reliability benefits of inductive sensing to be realized at minimal cost and power. Grove – Adjustable PIR Motion Sensor is an easy to use Passive Infrared motion sensor, which can detect motion of infrared objects up to 3 meters. Also, the output time and the detection distance range can be easily adjusted via the onboard potentiometers and this sensor has low power consumption. Grove – Human Presence Sensor (AK9753) is also an infrared motion sensor which can also detect motion of infrared objects up to 3 meters but this sensor stands out from the Grove – Adjustable PIR Motion Sensor because of the existence of four quantum IR sensors and an Integrated Circuit. Therefore it can not only detect the motion of an infrared object, but also the relative position where the IR object moves. So now, it’s the beginning of 2019 and we plan to do more and more for Grove during this year. Hopefully, this year will be a brand-new year with brand new ideas for even more products that will come into life. Again, we give a big thanx to our community who has always been by our side contributing to their best to help us grow bigger and bigger. Hope this new year brings you’ll joy, happiness, good luck and good fortune in everything that you’ll try to accomplish!